Blue mascara will bring out brown eyes. I think it actually makes mine look more green, no? Is it just me? Blue mascara will make you look more awake immediately... this pic was taken at 8 am on a Saturday, pre-coffee... am I succeeding? The mascara: LA Splash mascara in Perfect Storm. I got mine at a Duane Reade in NYC for 5 or 6 bucks. This brand carries about 20 different pop colors and I can't wait to go back for more, I'm itching for some aubergine and teal lashes. The quality of this product is very good: the color comes out just as it looks in the tube, the formula is very creamy and consistent, and there are no clumps whatsoever. The down side: because the wand is fine, I had to apply 3 coats to make my itty-bitty lashes look full. I have to say, I kinda prefer clumps, but if you're into mascaras that define and lengthen, give LA Splash a try! On my lips, I'm wearing Dior Addict high shine in Backstage Pink--my favorite glossy pink of all time! 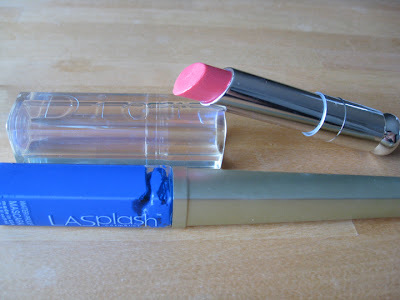 Because it comes in lipstick form, you get a lot of product for your money and it won't leak in your makeup bag like a lot of lip glosses tend to. 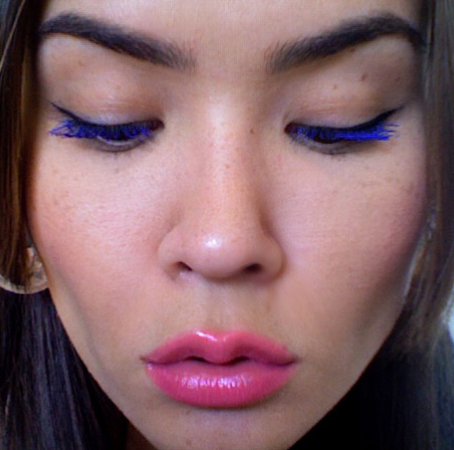 What's your favorite pop color for lashes? Super cute! what pop color would you recommend for green eyes? The blue is so cool! That blu is so cool, but I doubt I can pull that off :( Honey, do you recommend any amazing bronzers? I used to use a Cargo but they discontinued that brand, and Now I am in desperate need of finding something amazing! I know is off topic...but was curious since u are a makeup expert!!!! Hi darling!! Of course I can recommend you something amazing--try Benefit Hoola for a matte bronzer or Bare Minerals warmth for shimmery. Don't fear the blue, it will work, I promise you!!! Wow, this looks beautiful, more wearable then I thought. You're so gorgeous! Aahh thanks for your comments haha :D made me smile! And so sweet of you to follow. means a lot! 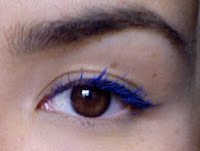 nice eyes.. i'm gonna buy blue mascara tomorrow. 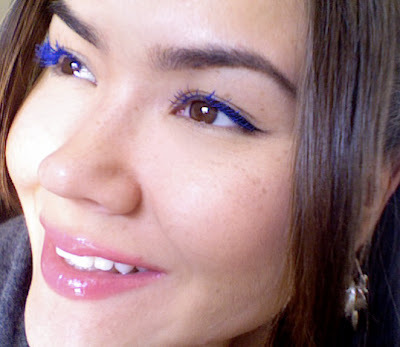 have you tried putting blue mascara on the lower lashes? i've seen some tutorials in youtube.. maybe you could do a blog bout it. just wondering.. thanks.